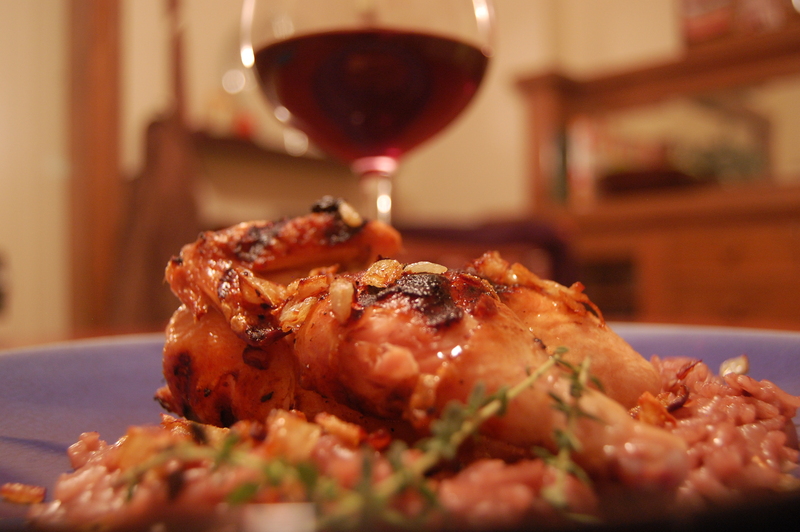 Cornish Hen marinated in olive oil, garlic and onion then put on the grill with a risotto full of tenderly cooked onions using a dash of the red wine instead of the traditional white. This was superb. The gamay had a surprising amount of punch and had to be left out for an hour before I started in on it. Lots of dark berries and fig components that went nicely with the creamy risotto and the grilled hen. The tannins, although softly apparent on their own, seemed to melt away with the extra bit of finishing salt I dashed on at the end. 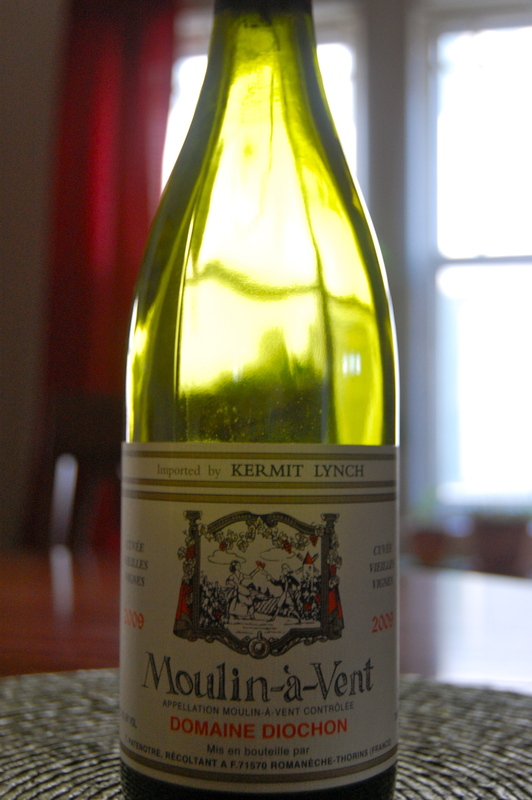 For those with concern about gamay, this is a serious one. As a bonus, the dish turned out to be pretty good looking so I’ve included the gratuitous food shot above. 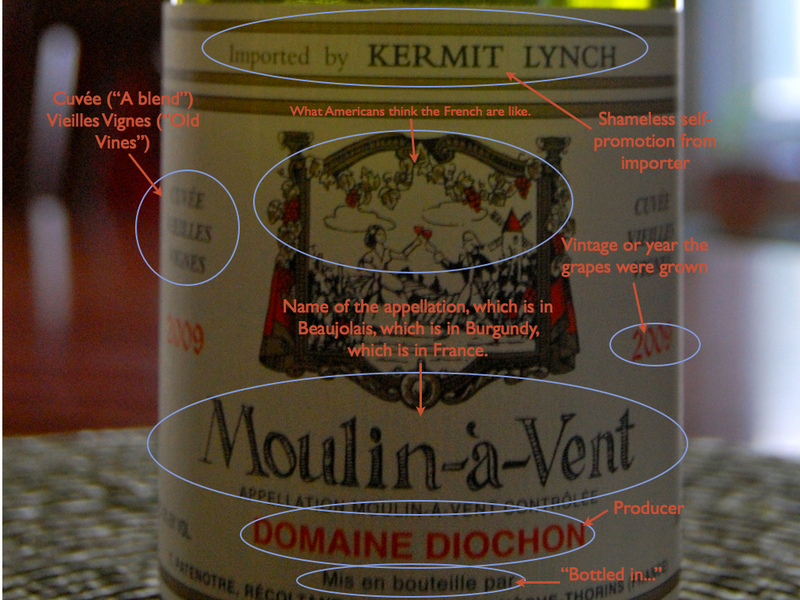 As a bonus to the bonus, I’ve even included a nice infographic of this label for those of you who want to figure out what exactly the items on a typical French label mean.